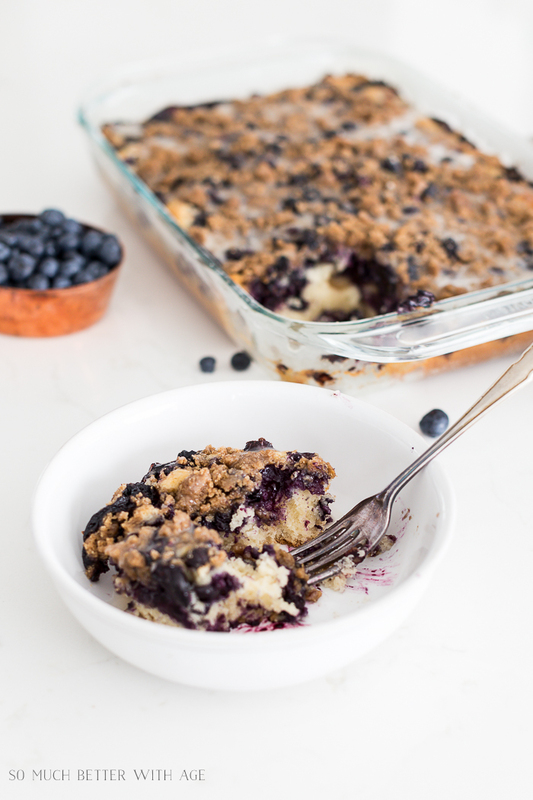 This blueberry streusel crumb is so moist and delicious and perfect with the glaze! I had a recipe for a a cake like this years ago and lost it. 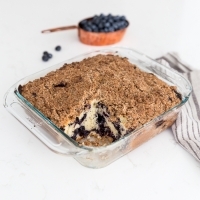 I’ve thought about how I can recreate it and this blueberry streusel crumb cake is like a blueberry boy bait cake, blueberry streusel cake and a blueberry coffee cake all in one. 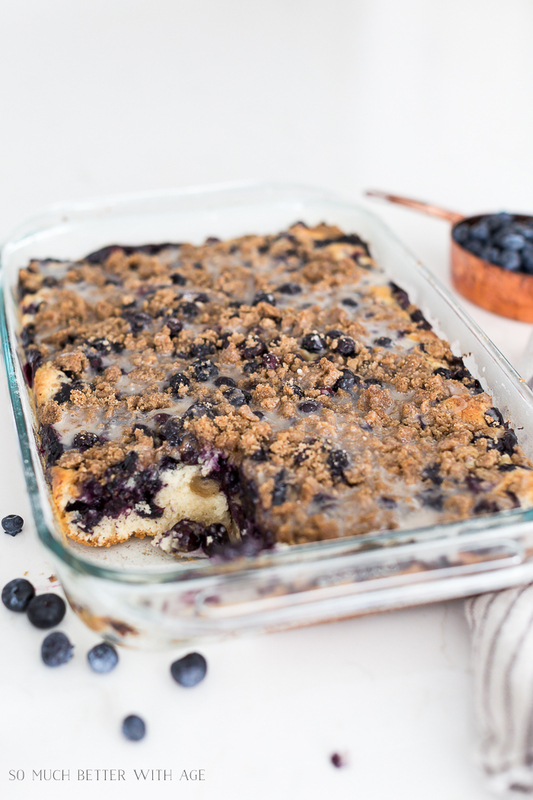 It’s a must have in your recipe box and it will be hard to keep it around once you bake it! 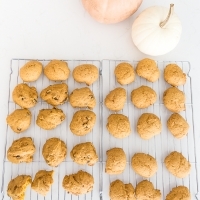 Use a pastry blender or a fork to blend the butter into the flour and sugar. I used my fingers to get it well incorporated too. Blend in the rest of the recipe while you are beating the 2 egg whites to peaks. 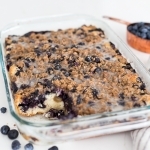 This is a combination of blueberry boy bait cake, blueberry streusel cake and blueberry coffee cake. It's so moist and delicious! Preheat oven to 350 deg F and grease and flour 9x13 pan. 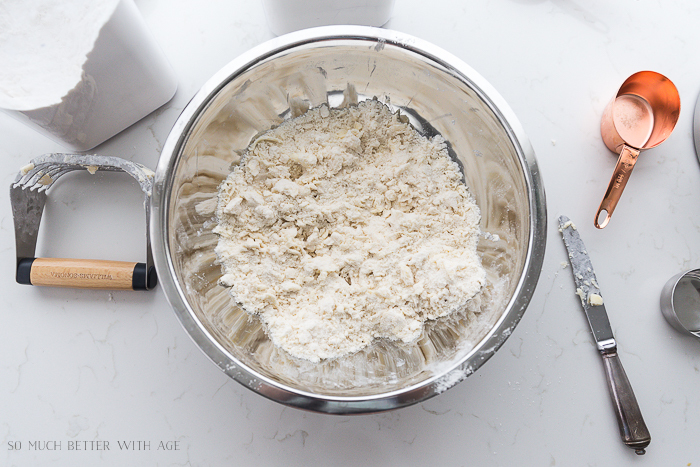 Mix together flour, sugar and butter with a pastry blender and/or hands. Blend in baking powder, salt, milk, eggs and vanilla. Beat egg whites until they form firm peaks. Gently fold in egg whites into batter and pour into prepared pan. 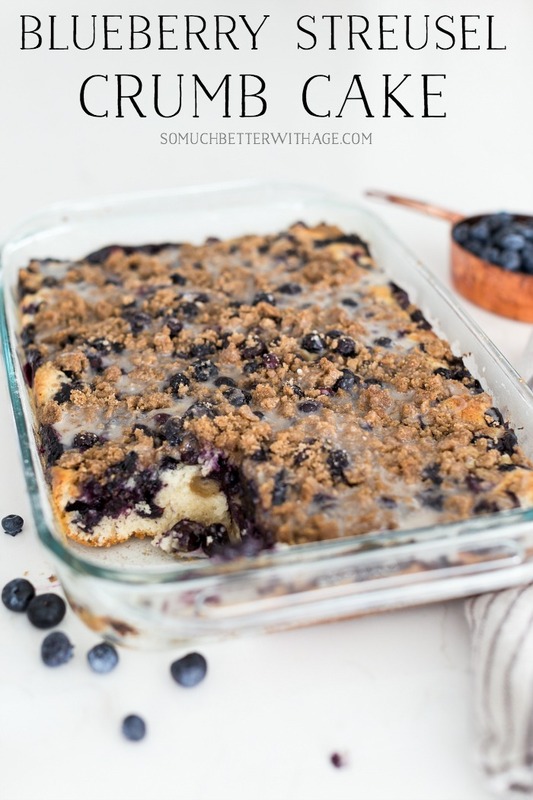 Add blueberries over the batter. 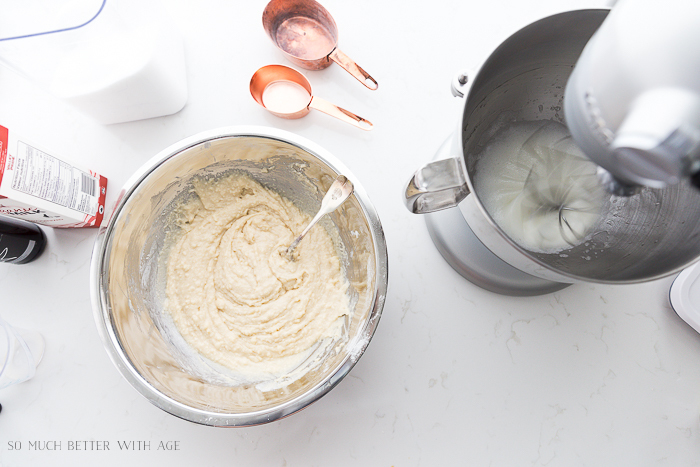 Mix together the ingredients with a pastry blender and/or hands. 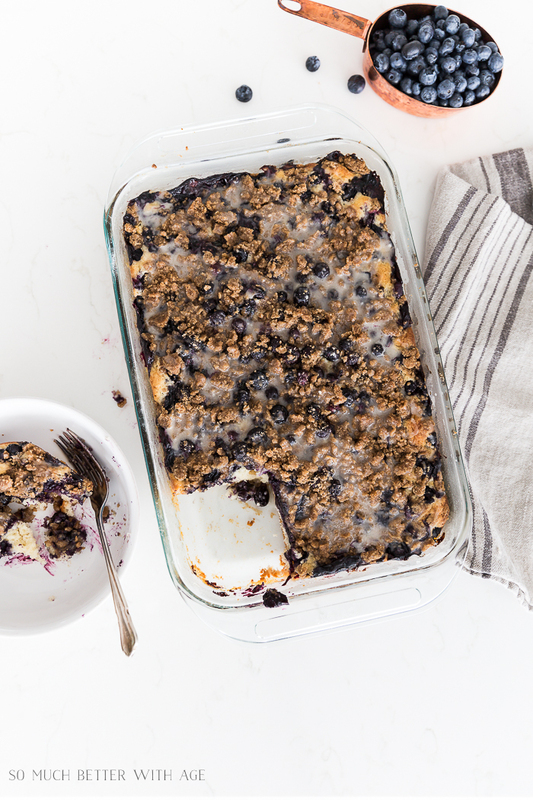 Add over top of blueberries. Mix together and drizzle over warm cake. On the way to get blueberries today. Know it will be delicious. Feeling low – Remember you published a book – envious, I can’t even write a decent letter. But I can landscape a yard. We all have our talents. Thanks for your comment, Carol. Yes, we all have our talents, I am horrible at gardening! Thank you, this sounds so good i love blueberries. I planted two bushes last year and got five berries this year can’t wait for them to really make bunches. Have a great week. 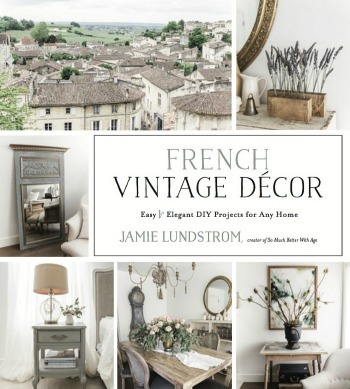 This looks so good Jamie! I just got a whole bunch of fresh blueberries from my aunt and this looks like a perfect recipe to use them in. 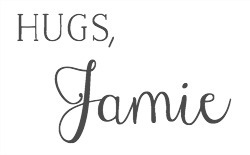 Thanks Jamie! 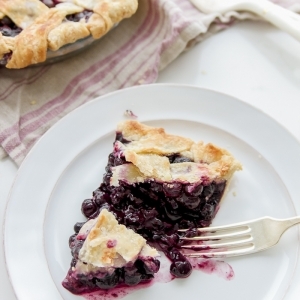 I love blueberry season. This is such a good recipe. The egg whites must make the difference. 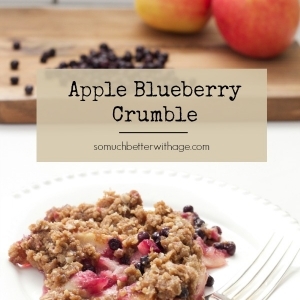 Want to try it with finely diced apples this fall. Ooh with apples sound delicious, Carol! What on earth is a boy bait cake??! 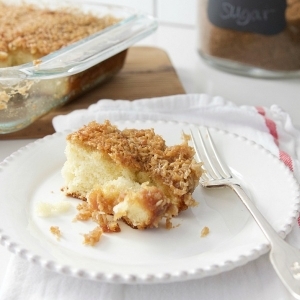 It’s very similar to this recipe without the streusel on top. I just made one today! Hi, can frozen blueberries be used? I’m sure you can, Melody!